Rivian CEO RJ Scaringe previously mentioned that his electric truck company is developing an auxiliary battery that acts as a “digital jerry can” for its vehicles, allowing them to travel beyond their listed range. Thanks to a recently published patent application, more details on this auxiliary battery system are now available. 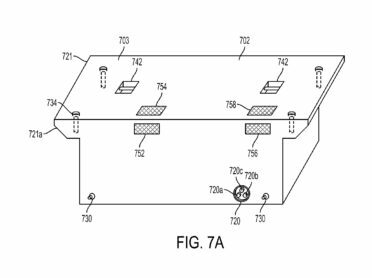 The patent, titled “Electric Vehicle With Modular Removable Auxiliary Battery With Integrated Cooling,” describes an external battery module that can be fitted to an electric vehicle, thereby providing it with additional range. 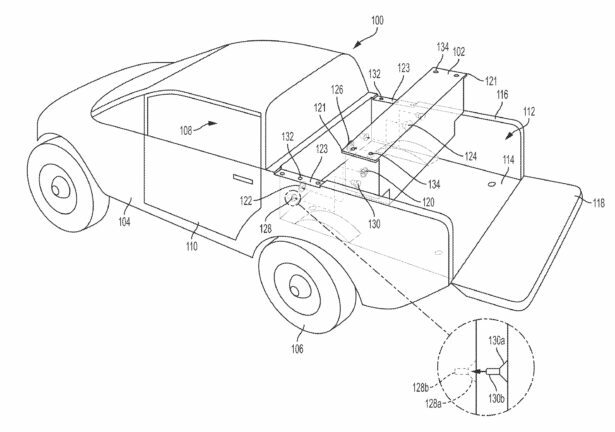 As could be seen in the patent application, the auxiliary battery systemwould be installed on the cargo area of a truck. In the case of the R1T pickup, for example, the battery module would be fitted on the truck’s bed. The entire module also includes latching mechanisms and connectors, which are designed for easy installation and removal. “When outfitted with the auxiliary battery, the electric vehicle can detect the fact that the auxiliary battery is attached to (e.g., mounted in) the electric vehicle (e.g., in cargo bed) and automatically set one of multiple predetermined feature sets, e.g., that pertain to driving performance of the electric vehicle. It should be noted that the auxiliary battery module design outlined in Rivian’s recently-published patent appears to be optimized for the R1T pickup truck. Based on the illustrations provided by the company, the external battery seems to take up a substantial amount of space in the all-electric pickup’s bed. With this in mind, it remains to be seen how the company would design a similar battery solution for the R1S SUV, which does not have a bed like the R1T. Nevertheless, considering Rivian’s polished approach to its designs, it is quite exciting to see how the company would equip a seven-seater SUV with a range-extending battery module. RJ Scaringe noted in a previous interview that one of the reasons behind Rivian’s extra large battery packs (offered at 105 kWh, 135 kWh, and 180 kWh configurations) is to ensure that drivers would have enough range for their adventure needs. This certainly appears to be the theme with Rivian’s vehicles, as could be seen in its top-tier variants’ range of 400 miles per charge. Coupled with an auxiliary battery system, the company’s trucks could very well close in or even exceed the 500-miles per charge mark. Similar to other new automakers such as Tesla, Rivian’s first vehicles are made for the luxury niche, not the mass market. As noted by RJ Scaringe in an interview with Green Tech Media, Rivian’s target demographic are the people who are “spending $70,000 or $80,000 on a GMC Denali or a Chevy Suburban or a Land Rover Discovery or a fully loaded Ford F150.” For these potential customers, the company can tolerate no compromises, and in Scaringe’s words, “under-promise and over-deliver.” This is especially true with regards to the R1T and the R1S’ range. Rivian’s patent application for its auxiliary battery system could be accessed here. 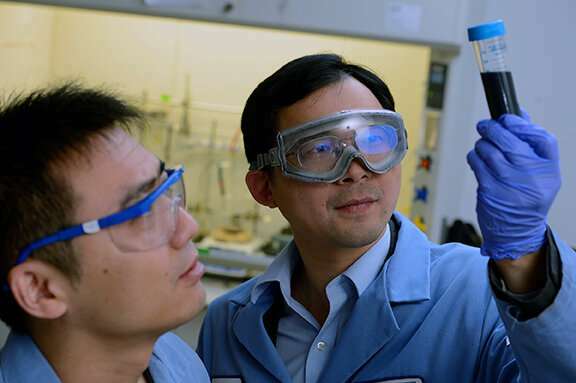 Up until now, it was impossible to reproduce the process of growing nanowires on silicon semiconductors – there was no way to repeatedly produce homogeneous nanowires in specific positions. 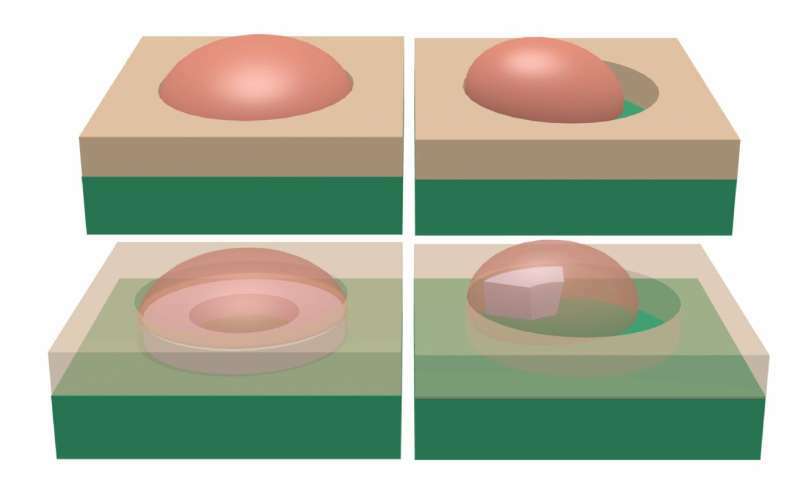 But researchers from EPFL’s Laboratory of Semiconductor Materials, run by Anna Fontcuberta i Morral, together with colleagues from MIT and the IOFFE Institute, have come up with a way of growing nanowire networks in a highly controlled and fully reproducible manner. The key was to understand what happens at the onset of nanowire growth, which goes against currently accepted theories. Their work has been published in Nature Communications. One promising approach is the design of morphable nanomaterials that can circulate through the body and provide diagnostic information or release precisely targeted drugs in response to disease-marker enzymes. Thanks to a newly published paper from researchers at the Advanced Science Research Center (ASRC) at The Graduate Center of The City University of New York, Brooklyn College, and Hunter College, scientists now have design guidance that could rapidly advance development of such nanomaterials.